How hard up are counties in Virginia for revenue? 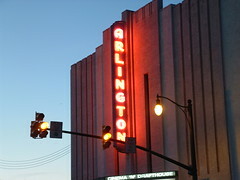 Well, ask Arlington, they’re turning the red light cameras back on. Each ticket for running a red light is $50 for the county coffers, and doesn’t bother with pesky moving violations or points on the license. They’ll be video cameras this time, and they’ll start with four on Lee Highway, and one at Glebe & Fairfax.